I eventually conceded to persuasion and launched my dulcet tones onto YouTube creating a channel called VegOilGuy. Stephen Fry I'm not, so don't expect to be dazzled with linguistic delights. But hopefully you'll appreciate the content of my vids. You can view my YouTube Channel here, or see a list of some my videos below. In typical YouTube tradition, I invite you to subscribe to my channel. That way you'll be the first to know when I post a new video. As a subscriber, if you have a subject you'd like me to cover in a video, do get in touch. can't make any promises, but I'll do my best. 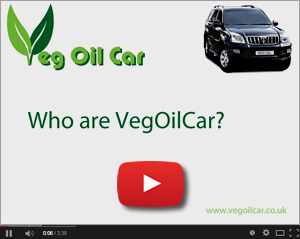 VegOilCar is NOT a company... it's just one guy chatting about a subject close to his heart. 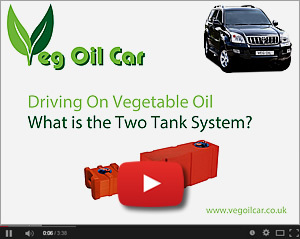 What is the two tank system? What is it for? How does it work? 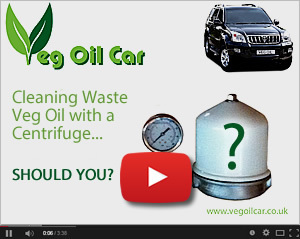 Is it necessary to use if you want to drive your vehicle on Vegetable Oil? 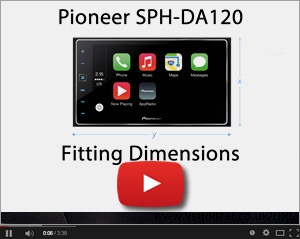 These questions and more are covered in this simple, non-technical explanatory video. Well it does seem to be my favorite subject, so I thought I'd better do a video. 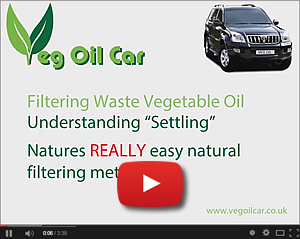 Hopefully everything you could ever want to know about the process of Settling with relation to Waste Vegetable Oil. 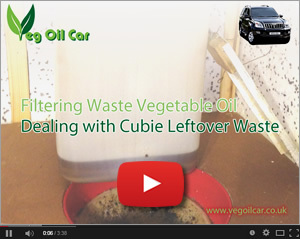 If you collect your WVO in Cubies (square, plastic containers) you really must watch this video. This video shows probably the easiest possible technique to separate dirty and clean oil. 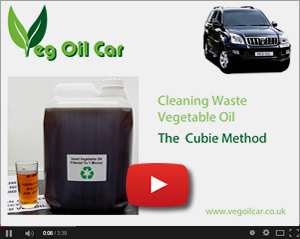 If you've made use of the Cubie method, then this video will help you recycle your waste and maximise your oil. Settling is a free, easy, natural way to filter waste vegetable oil (WVO). 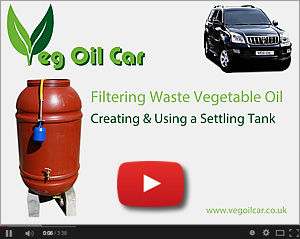 Making a Settling Tank can be inexpensive and, if you use the tips in this video, simple and productive. 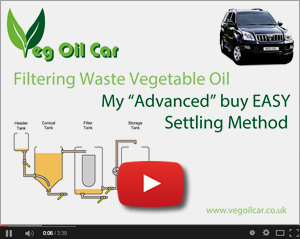 If the concept of Settling appeals to you and if you've more than one settling tank available, this advanced settling method may be ideal. Whilst more involved to set up, it's much easier to use on a daily basis, simplifying a messy process. This is the filtering set-up I'm currently using. It incorporates elements from the Advanced Settling method by makes greater use of muliple tanks. The results are truly excellent. What is a Centrifuge? How does it work? What's a traditional set up look like? Hopefully everything you need to know about the Centrifuge, particularly in relation to filtering WVO. Whilst I personally don't use a centrifuge to clean my WVO, there are people that do. Hopefully the content of this video will help you make an informed choice as to whether or not you should buy a Centrifuge. 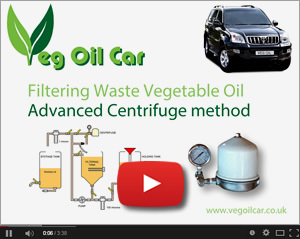 If you already own a Centrifuge or are determined to use one to filter WVO, why not incorporate Settling to maximise the efficiency of the process. This video will show you how. 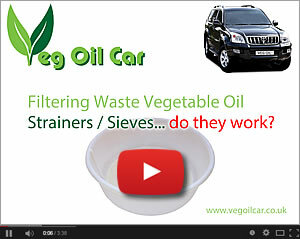 Cleaning / Straining / Sieving Waste Veg Oil WVO - do they work? I trained those flat-bottomed sieves that claim to filter WVO with ease. I can't say I agree with their claims. This video will tell you why. I tried those drill pumps and syphon pumps, but they always left me dissapointed. 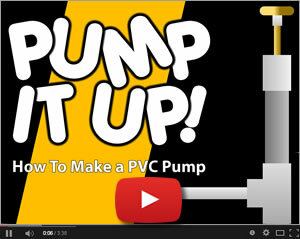 In the end I came up with a fantastic, affordable, easy to make PVC pump design of my own. If you want to move oil or any suitable liquid from one place to another, have a look at this video. 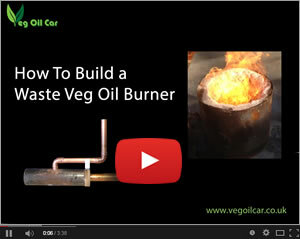 This might not be for everyone, but it really shows the power of veg oil. I recently got it into recycling metals, melting them down and casting new metal fabrications for various projects. As long as you're sensible, this is a fantastic use for a waste product. 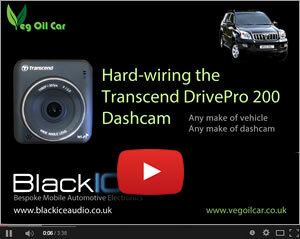 Want to hardwire your dashcam? Want to get rid of all those annoying cables? 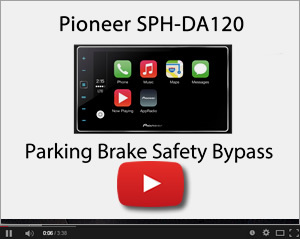 Here I’m looking at hard-wiring a Transcend DrivePro 200 dashcam into my Land Cruiser, but the principles explained should still be helpful to you. 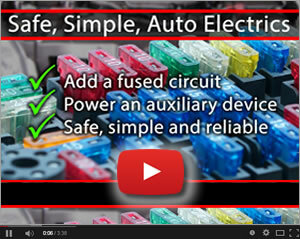 Want to connect a fused circuit from your vehicles fuse box to power an auxiliary device like a dashcam or power socket? Hopefully this video will give you the knowledge to do this safely and easily. 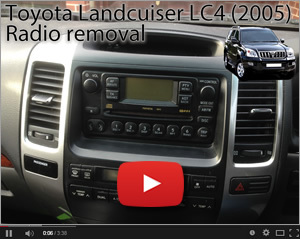 Removing the radio / CD player and dashboard trim / supports from a Toyota Land Cruiser (2003 to 2009) models LC3, LC4, LC5, Prado. 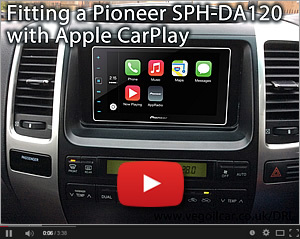 Fitting a Pioneer SPH-DA120 head unit with Apple CarPlay in my Toyota Landcruiser LC4 (2005) 120 series - a general overview of fitting, making a faceplate and basic use. 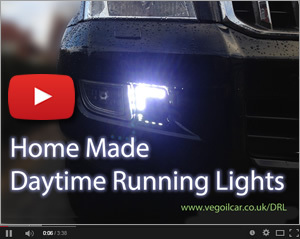 Good for any vehicle owner interested in fitting similar. If you're looking to fit this unit into your vehicle, this video might help. It will certainly take the guesswork out of whether it will fit your car or not.